When it comes to literary heroines, readers have a proprietary sense of the version they imagined. What happens to them after the last page has been turned? The door clicks shut. Or, another door opens. 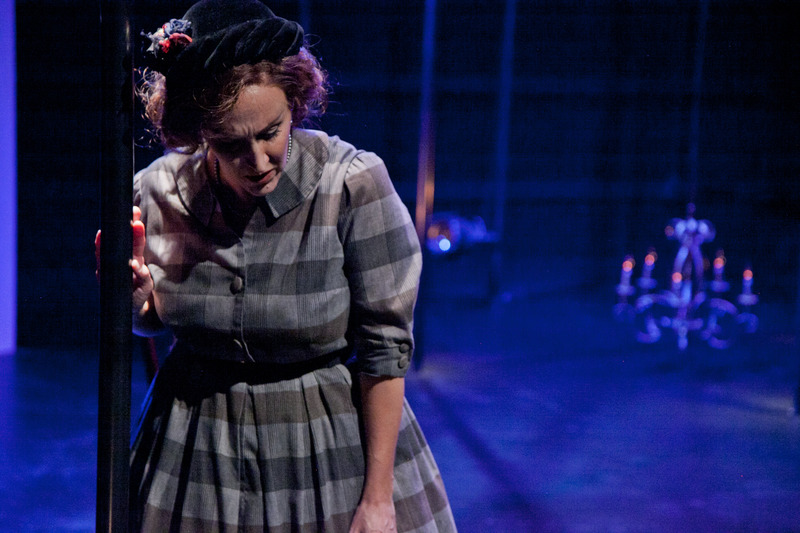 Nora, In the Great Outdoors picks up where Henrik Ibsen’s play A Doll’s House left its audience: the moment immediately after Nora breaks away from the door and into an unknown world. On a stark stage, featuring simply a single door and chair amidst roughly a dozen vertical light poles, Emily Pulley as Nora begins to plead her case to the UrbanArias audience assembled on Friday night for opening night of She, After – two one-act operas composed by Daniel Felsenfeld. The second opera, Alice in the Time of the Jabberwock, is based on short story by Robert Coover and features Pulley, as Alice, after having undergone a strange transformation in which she is still a young girl in a grown woman’s body. Felsenfeld does not provide a long introduction for Nora. She ‘exits’ the door somewhat frantic and breathless after having made the decision to leave. She exhorts herself in quasi-parlando to just “breathe” which provides a substantial emotional introduction for the audience. Felsenfeld’s score does not shy away from dissonance to accentuate these emotional circumstances but there is also a permeating sense of stasis throughout Nora. Pulley’s diction was impressive in both one acts. Never leaving one wondering about the text, each consonant cut to the last row in Artisphere’s Black Box Theatre. However, I would have exchanged a louder dynamic for a freer sound from Pulley during some of the high, quiet moments. One of the interesting elements of a single performer show is the decision whether or not to engage the audience directly. Pulley effectively broke the fourth wall throughout – especially in Nora. 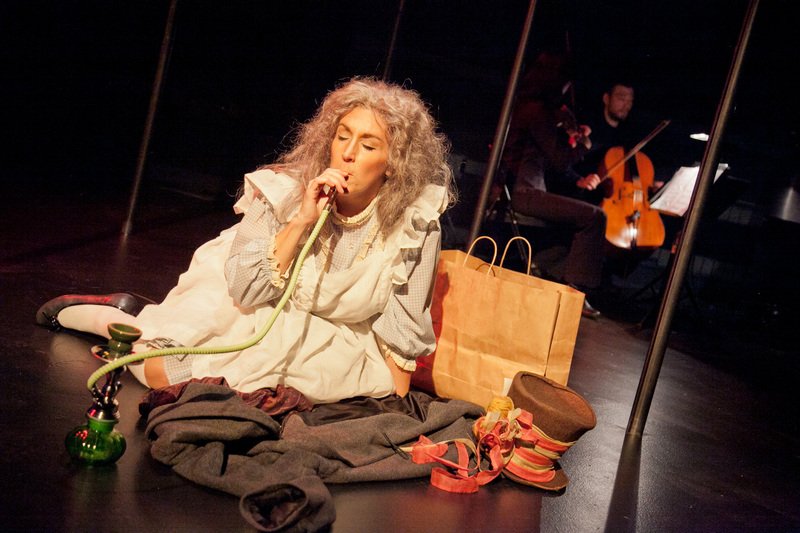 She demands of the audience, “Are you mesmerized?” as well as being able to turn inward during moments in which she contemplates, “Some mistakes take years to make – others only minutes – which one is this?” Felsenfeld’s Nora does not experience the same triumphs that Laura Kieler, the real-life inspiration for the character, achieved. This is a much darker story that asks the audience to contrast their imagined version with the version created for this production. The chamber interlude between the two pieces was quite tender. Jenifer Kim (violin), Sean Neidlinger (cello), and R. Timothy McReynolds (piano) took the opportunity to show their seamless collaborative sound. Both Nora, In the Great Outdoors and Alice in the Time of the Jabberwock are opportunities to confront these favorite characters and recast them as more complex – more human. UrbanArias has three more opportunities (Friday, November 15 at 8 p.m., Saturday, November 16 at 8 p.m. and Sunday, November 17 at 2 p.m.) to see this thought-provoking production. Don’t miss them.